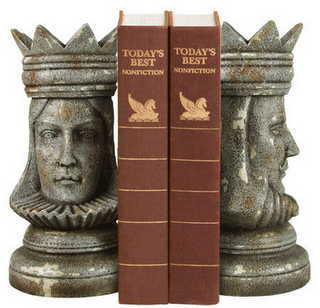 Have you ever wondered why the queen of chess is that powerful? I have never come across a satisfactory answer to my questions regarding the powers behind the queen of chess, hence I have made an attempt myself to solve this quandary. 1) The queen being the most powerful pawn makes the queen the most vulnerable thing on the board thus taking our concentration off the king. 2) The second reason however is that it is the most precious thing that you can lose. I mean think about it, would you lose the queen for a reason you can name right now... you cannot lose anything more precious than the queen. (you might say okay queen for queen, queen for winning the game... but giving up a queen does make you think for at least some time (~_^)). I can bet you that if the queen of chess and the queen of hearts were real figures today, there would be a lot of envy in the atmosphere. I am not a very good chess player myself, for the record; I have lost over 60 games of chess to Mr. Prashanth Saraf in my PUC (One of which included playing a game without the queens). However the mystery behind the powers of the queen was what I was most interested in chess. A queen has the combined powers of the bishop and the rook. 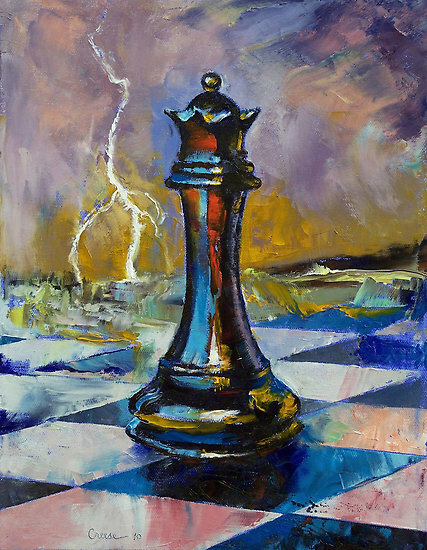 Losing a queen marks the beginning of the end for most chess games. 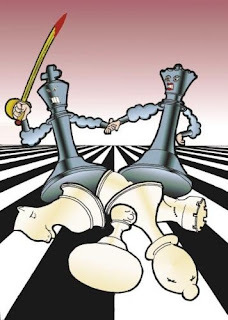 It is evident that when a pawn moves to the other side, it more often than not, chooses to reincarnate as a queen. 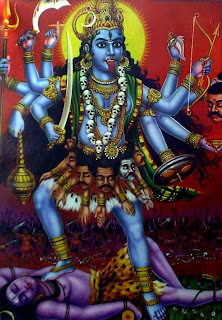 Religion also has extended the notion of feminine power by giving equal prominence to Goddesses just as given to Gods; don’t be offended if you come across conflicting statistics. 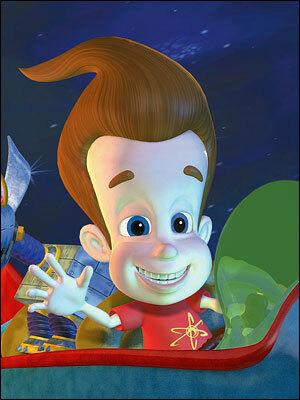 It has got to do with a whole new way of looking at the world. A female definitely looks at the world in a way different than men look at it. Though for some reason females rarely take opportunity to rise above others, we have seen occasions where female have made much more difference than what was expected from men. This kind of forms the foundations that have led to the powers behind the queen of chess. 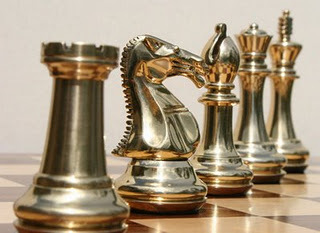 Historically the pawn was called as the minister and had different powers, but it was not until it got renamed as the queen that the game became a house hold name and eventually reached the fame we see today. Even when it comes to fashion, the queen gets her colour in chess. A white queen begins on the white square and a black queen on black. It’s not like you can’t win the game without your queen, but once you lose a queen there is a hell lot of de-motivation. For example, I once met a guy who would take a queen for a queen just to de-morale you enough for him to eventually win the game. Yes a guy will probably do anything to get a female to smile or to stop her from crying but we are looking only at the shadow of something really huge here. However on the contrary, as my friend Arpita Nandi says 'a broken nails hurts wayyyy more than a broken heart!'. That's exactly how much it means. Furthermore, when the game of chess begins, we can see that the two queens are looking at each other, just waiting for the right opportunity to kill the other. In fact the queen of chess is a real icon of power. This topic definitely spans beyond culture, politics, fashion, history, sociology, romance and ideology. 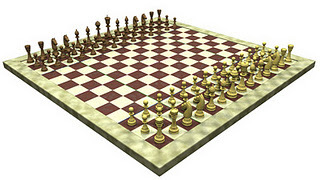 If you look at the chess board itself, you will find that it is symmetric if not for the king and the queen. It is as if power has been sacrificed for importance. 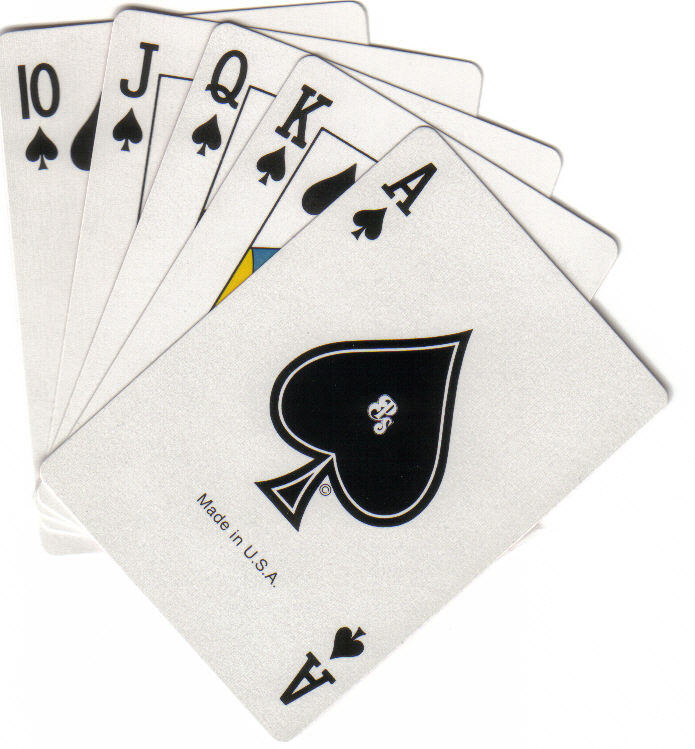 While the king stands to be prominent - last thing that you can lose on the game, the queen holds the most power - the last thing you wish to lose in a game. The game will become really complicated if you give equal power to the king as well as the queen, because now you will just have to keep your eyes on two pawns which are equally important to you. Chess is a game based on strategy. 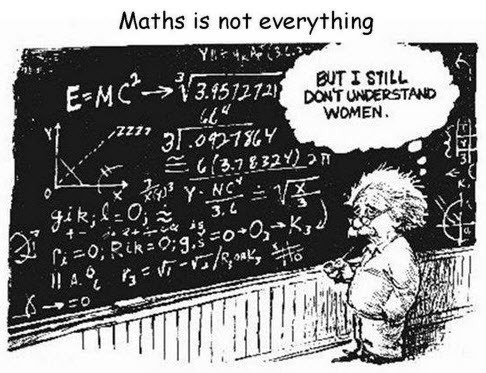 What more strategy can there be than to let a female come up with a strategy for you... (just kidding). On the contrary, we have seen how modern politics is revolving around females such as Sonia Gandhi, Hilary Clinton, Aung suu kyi, Julia Gillard, Angela Markel. Also the changes that took place when Mrs. Indira Nooyi took over as CEO of Pepsi Co. stand as a landmark in the corporate world and many of the multi-million-dollar companies started looking forward to having a female CEO. I would also like to include the case of recently fired Yahoo CEO, Carol Bartz but that is clearly out of discussion (^_~). I remember playing a game in engineering where I helped my friend Prerana (a.k.a piranah) win a game against Gokul, who had initially taken away the two rooks on Prerana’s side and we mysteriously won the game by controlling 2 bishops (lol). Gokul was a real pro, so were Abhishek and Abhilash. Some days we used to play chess on the bus on a magnetic chess set one of the seniors used to bring. However over time we got addicted to dumb-charades and forgot all about chess. 1) If you have seen the movie 300 you will find King Leonidas paying a lot of respect to the women of Sparta and deliver's the movie's signature dialogue- "THIS IS SPARTA" at the Persian ambassador before he kicks him into the bottomless pit (^_^). 2) If you watch White Collar you will see that the protagonist Neil sacrifices a lot and takes a lot of risk to get to the girl he loves the most – Kate. 3) And no piece of modern literature shouts of the power of femininity louder than Dan Brown's best selling (and controversial) novel- The Da Vinci Code. 4) Oh and when we talk about the queen, we might also note that there is a queen of hearts in the famous novel/movie Alice in the wonderland book by Louise Carol who was originally a mathematician specializing in Linear Algebra. 5) We even find that for a product to click in the market a famine touch usually does the trick. If you have seen the movie Kill Bill completely, then you will keep wondering what happens in the end of the second part. However the action might be justified in a woman’s world. I don’t know... (I don’t want to spoil the movie for you). 7) On a serious note the film Munich gives you a look into the things a woman strategist (Prime minister Golda Meir) is capable of. William Congreve probably had one such woman in mind when he said- "Heaven has no rage like love to hatred turned, Nor hell hath fury like a woman scorned"
8) If you watch The Big Bang theory you might be familiar with Secret Agent Laser Obstacle Chess... ha ha ha enough said I guess. Further he (Sheldon) extends the powers of the queen and creates a character called the Grand Empress a piece combining the power of the knight queen and the serpent!!! in the 3 persons chess. 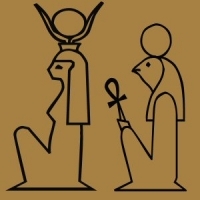 (serpent is a pawn that will cause the affected pawn to die within 2 moves from the encounter). 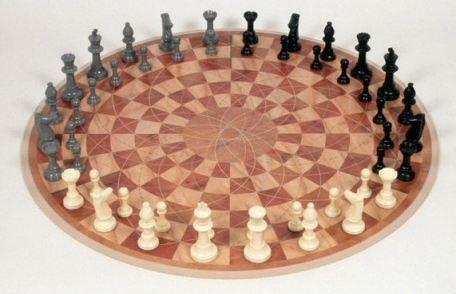 How ever the circular chess board is more appealing to me because it kind of looks more legit. 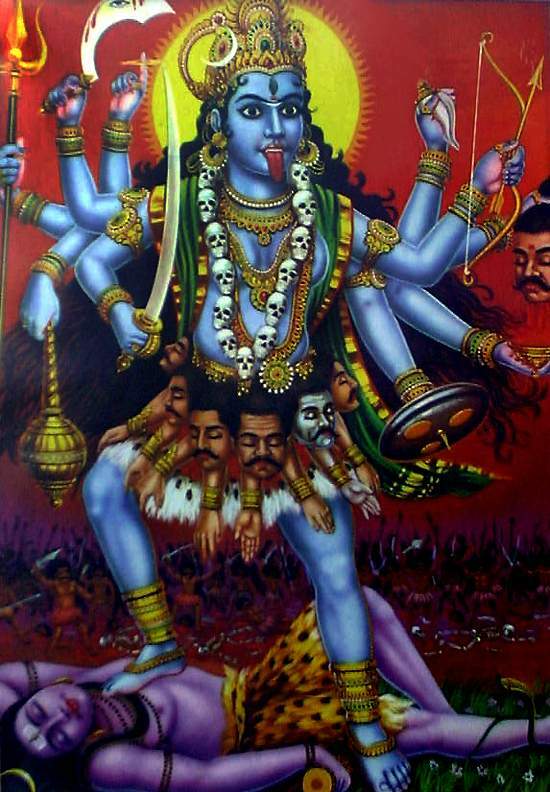 9) Though the image of The Mahabharath comes to mind when we speak about mythology, women and war; the Greek epic Iliad also testifies the whole war-for-women idea. 1) Hector's wife Andromeda is known to have blamed Helen alone for the entire duration (18 years) for which the war had been fought (female trying to eliminate competition). 2) The competition of the Goddesses of Mt.Olympus regarding which one of them was the most beautiful was the reason behind the whole Trojan war. You seem to have looked at this issue in every possible angle. It has helps me look at chess in a whole new presepective. Keep blogging. Now, there are a couple of points i would love to share! The world is either male or female, so probabilistic-ally, it's highly likely that the female is going to prop up somewhere! 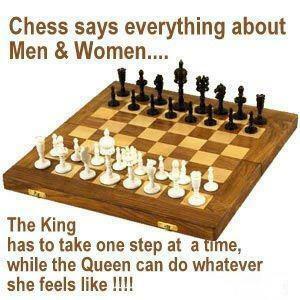 In chess, it simply happens to be the queen!